Home sports MEMPHIS DEPAY'S CAREER IN MANCHESTER UNITED A MASSIVE DISAPPOINTMENT? MEMPHIS DEPAY'S CAREER IN MANCHESTER UNITED A MASSIVE DISAPPOINTMENT? The Dutch winger arrived from PSV in 2015 with a reputation as one of the world's best young players on the back of a 28-goal season with the Eredivisie outfit. His 18 months in the North West didn't go to plan, though, and he was offloaded to Lyon in January 2017 as Jose Mourinho began to overhaul his squad. The move to United perhaps came too early in Memphis' career but the Reds proved how highly they regarded him by including a buy-back clause in the deal that saw him move to France. He assisted Nabil Fekir's strike and would've grabbed a goal for himself if it wasn't for Ederson's heroics in the City goal. "Manchester is still red," he joked afterwards. He was at it again on the big stage last month with a goal and a man-of-the match display in the Netherlands' 3-0 win over Germany. 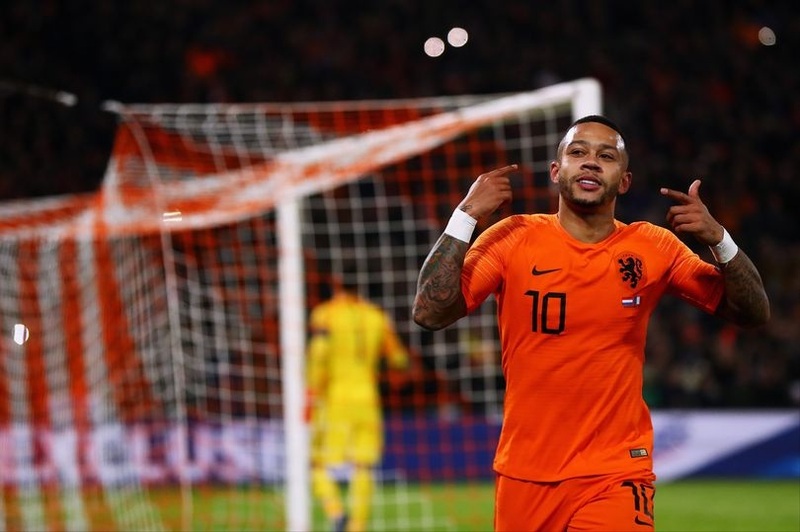 And Memphis' good form continued onto the international stage last week as he capped another stand-out performance for the Netherlands against France with a Panenka penalty past Hugo Lloris. In Football Oranje's player ratings Memphis was given an 8.5 out of 10, with the writer opining: "Memphis was once again the man driving Netherlands forward at every opportunity. Held the ball up well, linked up play and caused the French defence countless issues. Came close to a goal on a few occasions before his cheeky Panenka sealed the victory." The Netherlands have beaten the World Cup's two most-recent winners in as many months and Memphis has been their best player in both games. If Memphis was a pussycat in Manchester, he's a lion now. The forward teased supporters about a United return in September with the classic 'you never know what happens in the future' line and those fans will now, more than ever, be hoping his future is red.